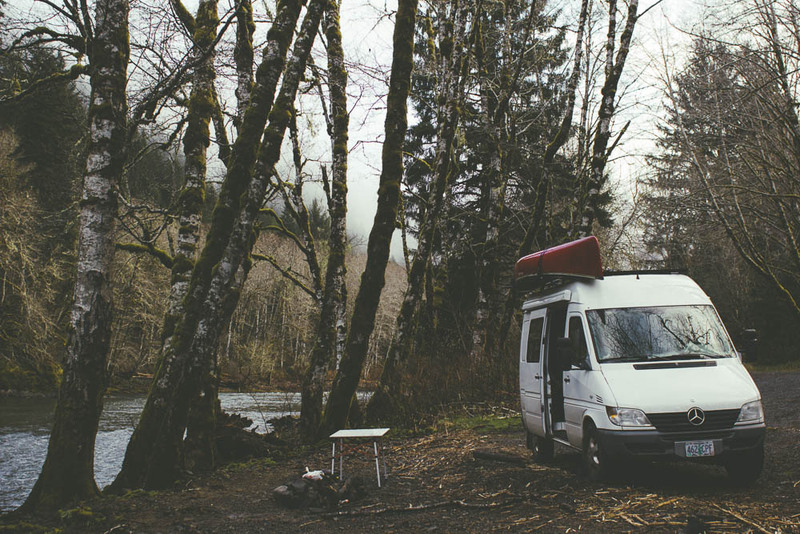 Last weekend Justin and I took Eddy the Van out for a little test run overnighter. We ventured to a lake neither of us had been to before and launched our big red canoe for a little fly casting session in the chilly dusk. Eagles chittered overhead, newt swam by, trout rose, and the voices of young families fishing on the banks echoed across the lake. We camped in a beautiful (new to me) spot next to a river I've spent many a summer day on. A campfire, soup, a beer and a cozy warm evening in our newly insulated van. We were only out for an evening but it was so nice to disconnect, to sit by the fire and really talk to each other, and to fall asleep when the sun goes down without having looked at any screens.